The riffs are here and the intention is clear, but the formula, although a tiny bit funky, is also just a tad predictable and safe. Armed with a guitar, some songs and famous friends, releasing a debut record written and recorded almost entirely by yourself, from the vocals, the guitars and the harmonies to the mixing and engineering, seems like you're living the dream.... or, it really, really isn't. 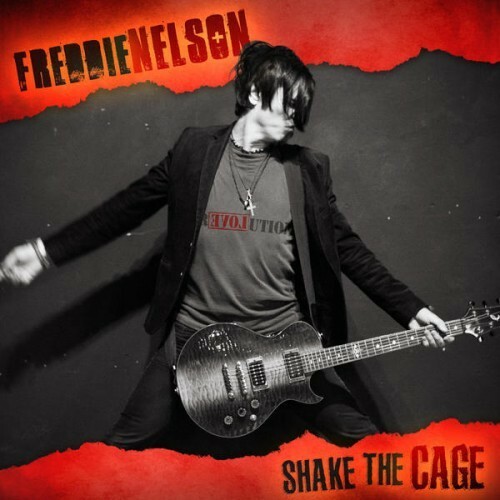 For Freddie Nelson, who previously rose to fame as the friend and collaborator of Paul Gilbert (Mr. Big), it's the latter option that feels more prevalent on his debut solo outing 'Shake The Cage'. It's not that it's a terrible album, it's just not a terribly good one either. It's as adequate as Friday night dinner with your in-laws. It's not the worst thing in the world, but it certainly isn't the best either. Nelson utilises his ultimate weapon straight out of the gate, showing his hand a little too early on opener 'Turn You On', a track that rollicks on and on in old-school Rock and Roll fashion, riffs and all. It's fantastic and reeks of eighties Hard Rock. Then bang... it explodes into lead single 'Hey Doll', from which the tables turn and you're transported to the late nineties/early noughties Indie scene. The riffs are still there and the harmonies are flowing, but the structure shifts seismically. You've gone from listening to the likes of Heaven's Basement to The Thrills. Saying that, Nelson's ability to craft a song is slick and his time with Gilbert was well spent, like a student taking the torch from his master and then mixing in his own style to boot. 'Light' and 'Never Fight Alone' are decent jams but they're nothing more than decent. They Rock, they Roll and they leave you singing along and tapping your feet with a kicking riff and a moving melody, but the moment passes too soon and it's a struggle to remember which song is which because they're all pretty much the same. Glimmers of exploration and hope arise on the likes of the almost-ballad 'Monster In My Room' which fades quicker than the shine on your shoes at Glastonbury. 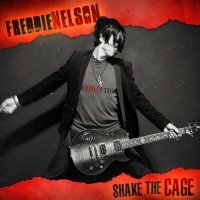 'Shake The Cage', as a debut, reeks of potential. It also reeks of underselling yourself as if you're a member of lacklustre political party struggling for "headline making" policies. The riffs are here and the intention is clear, but the formula, although a tiny bit funky, is also just a tad predictable and safe.